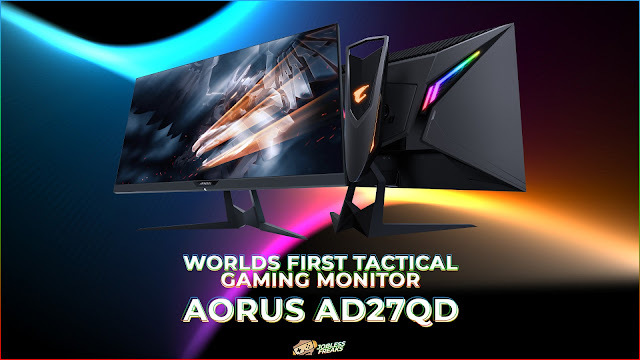 On April 12th, 2019, Gigabyte Technology exhibited the latest and first ever Tactical Gaming Monitor, Aorus AD27QD. The event was held at one of the finest five-star hotels in Mumbai, The St. Regis. 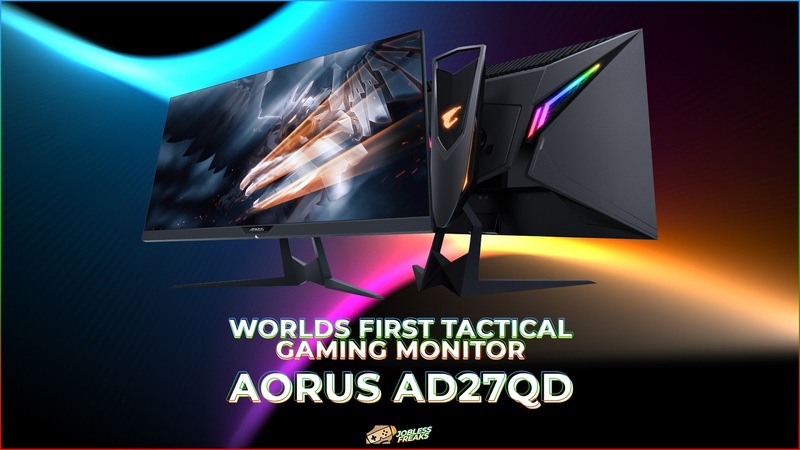 Although the elemental product of display was the Aorus AD27QD, the event also showcased other products like Xtreme MoBo, Xtreme Waterforce 5G Premium Edition, RTX VGA Series and SSDs. Various media partners and influencers were invited for the event. The event started at 06:30 PM with an introductory video on Gigabyte Technology and gaming. Followed by the video, Mr. Tony Liao, AVP of Gigabyte Technology addressed the launch of Aorus AD27QD. He briefly indicated the powerful features of the monitor and also hinted about the future plans of the company to introduce and launch new Intel Motherboards and AMD motherboards by the second half of 2019. He also exclaimed that Gigabyte is doing its best to improve the service and has established many service centers in India. After his speech, a line-up video of the new monitor was shown to the present audience. 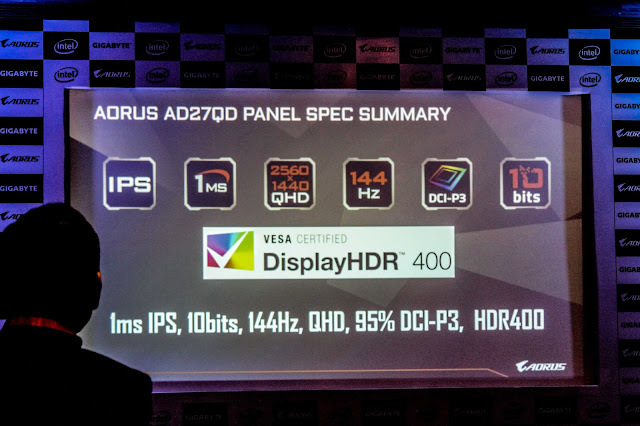 Sunil Grewal, Director of Gigabyte India, proposed the Aorus Launch concept. He said that Gigabyte does not want to be just a product company but also a consumer company! 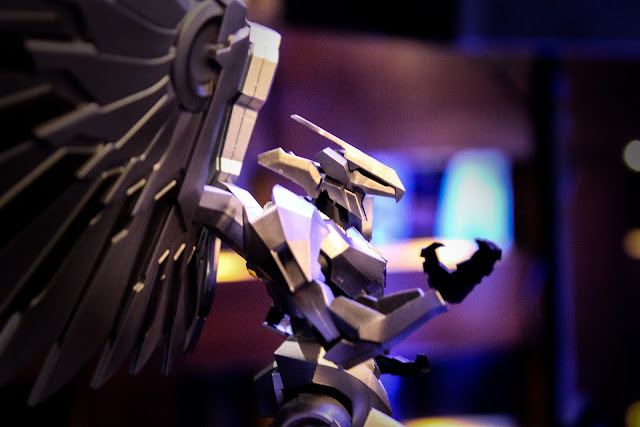 He comprehensively explained the Aorus Launch concept. He stated that Gigabyte is planning to let consumer(s) walk-in and see all the products and then choose what they actually want. Be it peripherals, processor, MoBo or anything, Gigabyte will offer a wide range of variety and not just a limited set of products. Aorus Launch centers will be opened in 2-4 metro cities. More cabinets will be made available by 2019. On-site warranty will be issued. Three more variants of the new Gigabyte monitor will be launched in the coming months. He also stated that Gigabyte wants to give customers a reason to buy a DIY product. IPS screen technology, with the view angle of 178 degrees. A response time of 1 ms.
95% DCI P3 Color Range (Rest monitors have sRGB). Other features like OSD Sidekick, GameAssist, Active Noise Cancelling, and Aorus Dashboard were explored. OSD Sidekick is an easy to navigate button at the back of the monitor. But we can also configure the settings of the monitor by using the built-in software provided by the monitor just by using a mouse and keyboard. Thus, configuring the settings becomes much easier. Hotkeys can be used to enable the above functions. Crosshair function allows us to draw any custom crosshair on the monitor irrespective of the game we are playing or any other task we’re doing. So we can use CSGO’s crosshair in PUBG or any other game too and vice versa. Timer and Counter can be used in games for counting the time. For example, one can easily activate the timer function after the bomb is planted in CSGO and thus gain an advantage. Similarly, airdrop counts can be seen in PUBG. No external software can detect or block these functions, thus no one will know that you are having an advantage. People might say that it’s a cheating monitor but you have to respond as "No, it’s a tactical monitor!" It reduces the external environment noise and amplifies the player’s voice. ANC can differentiate between a player’s voice and environmental noise. It is so efficient that it also reduces the click sound produced by the mechanical keyboard. For confirming these features of ANC a small demonstration was conducted with the help of a volunteer from the audience. Guess what, it worked really well. The monitor has an ergonomic design with built-in LED. LED enthusiasts now have the chance to customize multiple zones of the monitor with functions like Wave, Color Shift, Color Cycling, Static, Flash, Double Flash, and Pulse. It can be tilted, swiveled, pivoted and height could be adjusted. The Product Manager, Supriya Mankame explained other products. 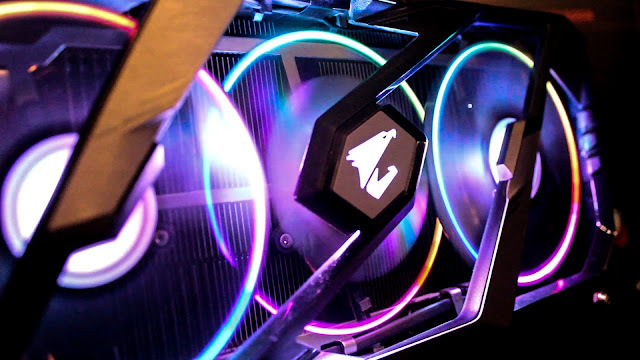 Products like C621 Aorus Xtreme motherboard, Z390 Aorus MoBo, Z390 Xtreme Waterforce 5G Premium Edition, graphics card RTX 20 series with unique stack fans, premium cooling and peripherals like Aorus RGB AIC NVMe SSD TB, RGB M.2 NVMe SSD 512 GB, Aorus C300 Glass, GB C200 Glass and Aorus K9 Mechanical Keyboard were shown. After the demonstration of all the products, the Q&A session was conducted and few doubts from the audience were rectified by Gigabyte Panel. The event wrapped up with a group photograph of all the members who attended the event. A lavish dinner was arranged by Gigabyte Technology for the attendees in the restaurant Seven Kitchens. The Team Jobless Freaks warmly extend our gratitude for inviting us for the launch event!